Injustice Shaped America's Birth. Unity Must Shape Its Future. In the U.S. there has always been a chasm between our ideals and our reality. What an interesting and unusual name for a country. Because in this simple five-word phrase we can begin to understand the strengths and contradictions of our entire history. We are one nation, and yet we are made up of different states. We are bound by one Constitution, and yet we speak different languages, pray in different ways, and trace our ancestry to every corner of the globe. In these uncertain days, as we work to confront the divisions within our diverse citizenry, it’s worth reflecting anew on the cohesiveness of our national identity. Because I believe that while we should celebrate our variety, a national conversation about what unites us can provide the foundation for a stronger and more just United States. Too often the idea of patriotism is cast narrowly, as a particular set of criteria by which one defines love of country. But a rigid view of patriotism as some sort of ideological litmus test undercuts the core strength of our nation. We should revere the expansive values upon which our nation was founded, while recognizing that our customs and laws have often fallen short. 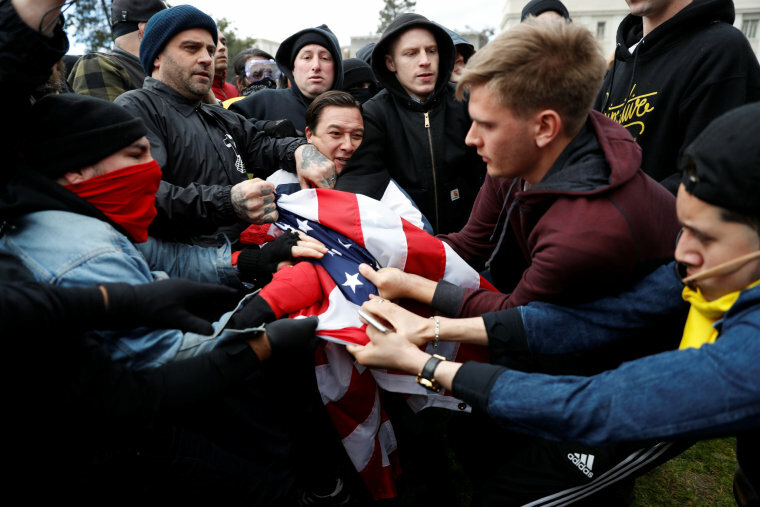 Right now the centrifugal forces of division are pulling us apart: We draw our national map into red states and blue states, the political system is frozen along tribal party lines, violent hate is on display in places like Charlottesville, Va., and a rapidly shifting economy seems to be only exacerbating our growing income inequality. On issue after issue it seems we are more interested in digging ideological trenches than working toward a solution. Too many of us get our news mostly, if not entirely, from sources that reflect our biases rather than challenge us to think critically. And we tend to congregate in separate communities of “our own kind.” How did we get here? And how can we get back to a more united place? To pine for the past, however, is to misread history. With a few exceptions — primarily the short-lived coming together that has characterized society in the midst of some of our wars, natural disasters and terror attacks — unity has been more of a goal than a reality over the course of American history. When our Founding Fathers gathered in Philadelphia in 1776 to sign the Declaration of Independence, they called themselves “the Representatives of the united States of America.” While admirable, this sentiment was largely wishful thinking. At the time, the outcome of the war for independence was far from certain, and many colonists were more aligned with the British crown than with the revolutionaries. The idealism of Thomas Jefferson, Benjamin Franklin and others ultimately prevailed, and a government emerged that was philosophically committed to the ideas of freedom and equality. But it simultaneously enshrined a system of slavery, discriminated against women and Native Americans, and failed in many other ways to live up in practice to its soaring rhetoric. Indeed, these early institutional injustices have shaped America’s central incongruity. And they endure as essential reminders that there has always been a chasm between our ideals and our reality. As a boy I pledged allegiance to the flag of the United States in a segregated school in Houston. Texas itself had been part of the Confederacy. And I can still remember Civil War veterans marching in parades. That chapter of our history might have been over, but it was certainly not forgotten. Meanwhile, I was being taught about the glorious ideals of the United States by teachers who had been born in a country that refused to let them vote simply because they were women. When I grew up, America’s deep divisions came into clearer focus. As a young journalist I covered the Red Scare, the Civil Rights struggle and Vietnam. My love of country — my patriotism — demanded that I bear witness to the faults of the United States as well as its glories. I would go on to report on the AIDS crisis, the feminist movement, the drastic demographic shifts brought on by immigration, the crumbling of labor unions, and many other storylines of America at odds with itself. In my opinion we were far more divided as a nation in the past than we are today. I do not say this to minimize the challenges of the present. Women, racial and religious minorities, the LGBTQ community, those with physical or mental challenges, and all the categories of “other” have traditionally been excluded from the corridors of power — and remain so in many ways. Still, the advances of the past decades cannot be ignored. We remain divided in practice and law, but I firmly believe that a higher percentage of the American public now recognizes these divisions as problems. That’s an important step. Nevertheless, this step is only useful if it leads to concrete action. The path to progress will require a national reckoning with what can and should unite us. While other countries have drawn their names from peoples or land that matured into nations, the United States was, and remains, an idea, a philosophy that from the beginning did not belong to a single people. In theory anyone can be an “American.” And I believe that an appreciation of diversity is the source of our founding strength. Our original national motto was e pluribus unum: from many, one. Whatever our shortcomings, this ideal has been our guiding North Star. Our Founding Fathers understood that unity does not mean that we all have to be the same or agree. Governance is fueled by debate, and equality does not require cultural uniformity. So how do we reach out to each other in these difficult times? We need to recommit to the rule of law, for in the unity of law we can mete out justice across a diverse citizenry. We need to insist on the right to vote — and fight back against efforts to curtail it — for that is the means by which all of our people can be heard. We need to invest in public education, as this is the way to help overcome the inequities of one’s station at birth. We need to value service, on foreign battlefields but also in diplomacy and our own needy communities. We need to champion science and reason in the face of ignorance and superstition. We need to protect a free press, which is under political pressure and suffering from a crumbling business model. These are core values that allow for the free expression of our many differences while maintaining a just and lasting national consensus. All of these ideals, and many others, can be found throughout our history. They are enshrined in the words of our Constitution and Bill of Rights. This is the vision of patriotism to which I aspire, an unabashed and open embrace of the most noble of our values. Dan Rather’s new book, "What Unites Us: Reflections on Patriotism" (on sale Nov. 7) is now available for pre-order. 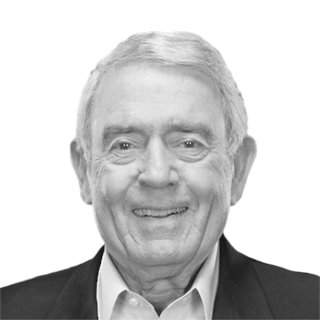 Dan Rather has been a working journalist for more than 60 years. The former anchor and managing editor of the "CBS Evening News," he founded the multimedia production company News and Guts to focus on high-quality, non-fiction content.